Why Teachers Are Paid Less In Pakistan? The education industry of Pakistan is facing a constant threat for the past many years. Still many well-educated people do not take teaching as a proper career and one of the main reasons are poor work conditions and low salary rates. Pakistan has undoubtedly experienced a rise in its overall student enrollment ratio, but teachers are the ones that have to face multiple challenges on a daily basis. One of the main reasons why majority of the teachers are under paid include, the imbalance in structure of various academic institutes. The ratio of revenue is low and schools and colleges have to go through various time consuming methods of administration. Many educational giants are enjoying a huge monopoly in the education industry of Pakistan due to which small scale schools have to face many difficulties. All such schools have to think sharp while deciding for the allocation of resources. They can either improve the standards of education and various other amenities or provide teachers with high salary rates. In situations like these, teachers are mostly compromised. Another sad part about the education industry of Pakistan is that teachers are usually over-burdened with work. They have to sit after school for multiple hours and even on weekends and go through piles of student records and exam calculation procedures. In spite of taking extra work from teachers, school admins still don’t pay them the salary that they deserve. That is the reason why majority of the highly educated people take teaching as a part time or temporary job. If we look at the broader picture, a school is not good enough if its faculty members are weak or meagerly educated. This shows that schools and colleges need to have a team of experienced and well-educated teachers if they want to stabilize or expand in the industry. Under-paid teachers usually don’t take their jobs seriously which directly affects the performance of the student body. Unemployment ratio has been sky rocketing in Pakistan for the past many years therefore, there is never a shortage of under paid teachers. School admins usually take leverage of all such things due to which many schools and colleges are providing academic institutes with better and faster methods of administration. By paying teachers less, school admins are putting the future of students at stake. Underpaid teachers usually work half-heartedly and allow school admins to make sure all administrative procedures are running actively. It is understandable to a certain extent that school admins have to face a lot of competition, but punishing students by hiring cheap and under skilled teachers is never a smart solution. Admins can and should start using online school administration system so that teachers could be provided with some breathing space. Besides that, academic institutes need to look for smarter and effective ways of running schools rather than putting both teachers and students at stake. Providing teachers with good salary rates is not just going to boost student productivity, but will also allow small scale schools to expand in the industry. https://www.archivistonline.pk/wp-content/uploads/2016/01/Teacher-paid-less.jpg 480 800 admin http://www.archivistonline.pk/wp-content/uploads/2015/02/Archivist-logo-transparency-300x78.png admin2016-01-19 08:08:472016-01-19 08:09:16Why Teachers Are Paid Less In Pakistan? Since the society has leaned a lot towards cloud-based technology and various technological gadgets, children also seem to learn better from interactive applications and games instead of lengthy books and notes. In order to help little learners enjoy the learning process to the fullest, a few smart minds have programmed a variety of exciting apps and games. 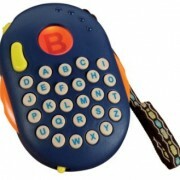 Instead of gazing at the board, alphabets could be learnt and math problems could be solved through interactive games. The times have changed and children are finally accustomed to the 21st century learning approach. Following are a few next-gen developments that are helping the children of today to learn new lessons and ideas in style. Agitnus is a specially designed smart phone app for kids. The recommended age for this app is from pre-school to first grade. Toddlers get to learn new colors, shapes, languages and a lot more. Whether your child uses a tablet compute or a lap top, everyone can find something new to learn after every single click. You also receive a weekly summary from Agitnus stating the child’s progress. Study X fills a void for those students who like to study using flashcards they have created. The program is also well-suited for homeschooling use, where the parent/teacher could use it to create study, review, and test materials. Study X is for all those students who like to create their own study guides and review materials. Students have the ease to do everything their way by recording all important information anytime. A few developers have made learning Math easier for children by designing an interactive video game for them. Meteor Math is a multiplayer math game that allows children to customize their level of difficulty and play accordingly. After playing the 7 head-to-head mini stages, you get to decide who becomes the Cosmic Reactor Champion. This game is specially designed for all those children who make a lot of spelling mistakes. The game misspells a word on purpose and allows the player to spell it correctly. Through this healthy exercise, children do not just get to have a joyful time, but also end up correcting most of their spelling mistakes. The Telling Time Quiz game is specially designed for children who have trouble telling time. It is among the most basic things to be learnt by any toddler or old child. It’s always fun to learn the art of telling time through a smart and interactive video games. When it comes to accounts management, it is necessary for all concerned authorities to view multiple types of summaries and reports throughout the academic years. Keeping in mind the increasing competition, it has become necessary for schools and colleges to maintain a tech savvy look. The digital accounts management system provides an institute with all sorts of important reports such as accounts receivable reports, cash book report, bounced and lost cheque report, expense detail and summary reports, accounts payable reports and so on. Procedures were never so easy and convenient before. Things weren’t so convenient for schools until online school management entered the education industry. Schools and colleges in multiple countries have been seeing immense competition lately and cloud-based technology is what has made it possible for many academic institutes to not just survive, but expand. It used to be a huge problem to manage procedures like fee collection, admission vouchers, student fines, employee salaries and sundry expenses before. Today all such procedures can be monitored via a centrally controlled system. All financial transactions can be managed and controlled via online school management system. These days, it has become very risky to rely on manual bookkeeping. It does not just waste an institute’s time, but also complicates most of the simple procedures. Archivist Pakistan runs on cloud-based technology eliminating the need for installation or any similar hassle. The computerized finance management system helps keep track of all sorts of calculations due to which school admins may not have to witness errors, mistakes or fraudulence. Serving the education world for over 15 years, Archivist Pakistan has been generating positive results ever since its inception. The digital system has a built-in chart of accounts which is interlinked with each module that comes with the online school management system. Schools and colleges don’t need to worry about handling accounts because that area has been covered by the new accounts management software solution. It is always risky to manage accounts based transactions as they are lengthy, intricate and sometimes hard to manage. The accounts management software by Softronix meets the highest to the lowest demands of the education industry. 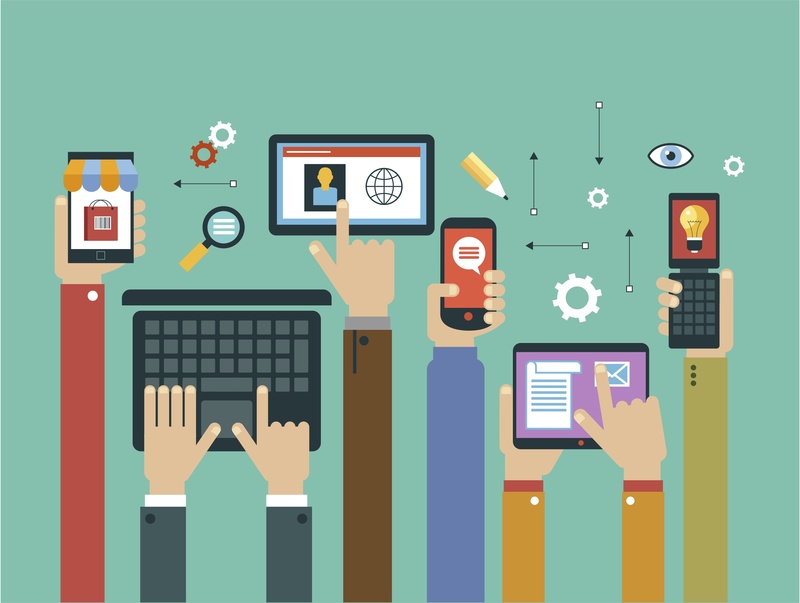 Social media has been playing a major role in the lives of billions of human beings across the world. 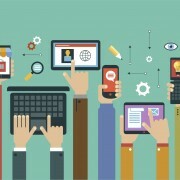 Conveniences such as cloud-based technology, web portals and social media have both its positive and negative effects. If we take a look at the schools and colleges of today, we could witness that students function better when teachers make use of cloud-based technology to the fullest. 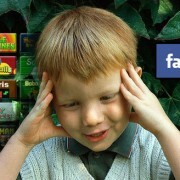 Still, children lack at a few areas just because of the excessive use of social media. Both knowing and unknowingly, social media is affecting the lives of students in a million different ways. Following are a few points that provide a clearer picture of how social media is affecting the students of today. Due to excessive use of social media websites, students seem to find difficulties in having one on one communications. Most of them seem to have lost all confidence in openly having a conversation with fellow classmates or the teaching staff. The reason for that is because most of the students waste time sitting behind the computer screens and feel more comfortable talking online than face to face. The routine of talking in shortcuts and slang English has badly affected the grammar and pronunciation of students. According to many children, it is “uncool” to write longer sentences and phrases on social media therefore, children or lets just say, youngsters tend to invent newer and shorter words in order to sound cool and interesting on the internet. This is undoubtedly destroying what they learnt at school. Children who are too much involved in social media websites tend to avoid meeting people in person. They do not only avoid socializing, but also tend to have lesser things or sometimes nothing to say at all when meeting someone in person. This results in children avoiding social gatherings and preferring to stay alone most of the times. Things like these may affect the personalities of a number of pupils. Even if a student listens to a lecture carefully, there is a greater chance of him/her forgetting everything in a few days or sometimes hours. 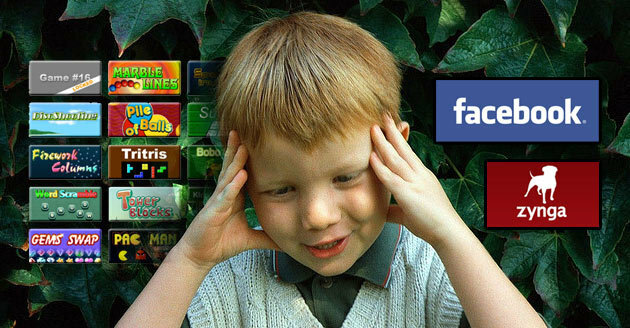 The excessive use of social media has destroyed the ability to retain information. The moment a student forgets something, he/she tends to immediately look for answers on the internet without even trying to think or brainstorm. This practice is not only making students dull, but also making it hard for them to handle too much information in too little time. Parents of the 21st century have finally realized that we are not living in Stone Age anymore and our children deserve to have a few electronic gadgets of their own for better learning and understanding. Children of today have a lot of exposure to the media and internet therefore, they are more inclined towards technological gadgets than books or various other traditional methods of learning. 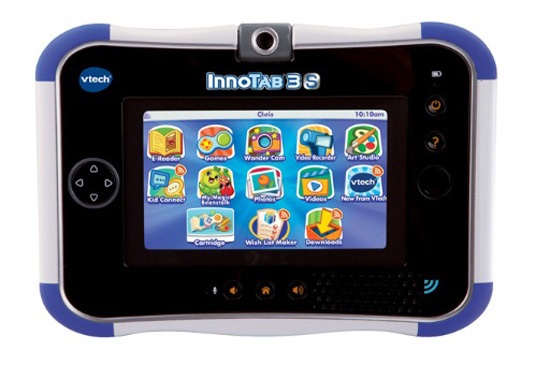 There are a variety of safe to use learning gadgets that can be used by toddlers and even older students of today. Children of today are not as innocent and dull as they used be a decade ago. They tend to get distracted and bored very easily therefore, it is very important for parents to provide them with a substantial amount of learning gadgets. 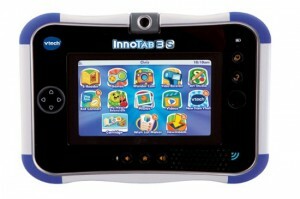 Below is the list of a few next-gen gadgets that are helping children of today to grow and learn faster. As we all know that children love to push buttons. 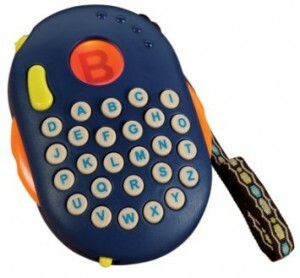 Keeping that in mind, the Alphaberry is specially designed to make alphabet learning much easy and fun for children. By pressing alphabets on the device, children not only get to learn and listen to letters, but also enjoy listening to music and nursery rhymes. Children tend to develop the habit of observing elders and at some point they have seen laptops in the hands of their parents. 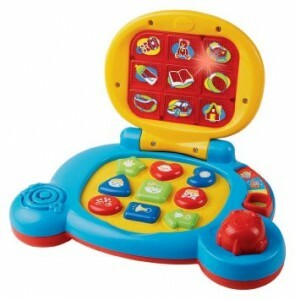 The Vtech learning laptop can work as a substitute for the real thing. Most of the parents cannot afford to buy expensive laptops or don’t want to go through the risk of handing them over to toddlers. This is where the learning laptop can work as a life saver. It does not only have educational games, but is also loaded with a variety of fun filled activities as well. 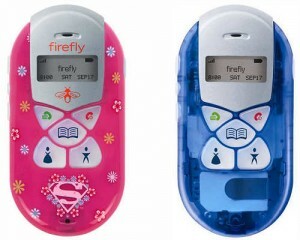 The firefly mobile phones are specially designed for children. It’s a fully functional cellphone from which children can send text messages and receive calls just like any other cellphone. The phone also allows parents to monitor all ongoing activities of their children. Children specially the little ones are always inclined towards colorful gadgets and there is no better option than providing them with an interactive alphabet learning gadget popular by the name Learning Alphie. 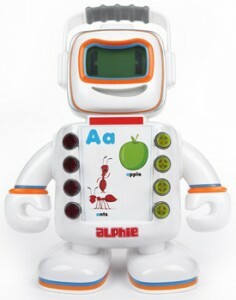 This robot does not only have a beautiful LCD display, but also speaks and responds after each command. 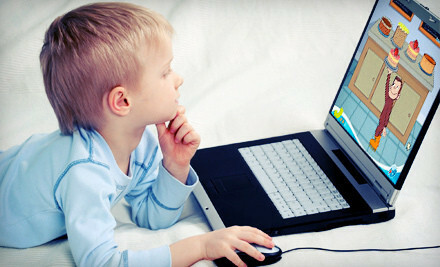 Children of today have started to think and act fast therefore; they are more inclined towards various next-gen gadgets. Reading from books and relying on lengthy lectures is something that children do not prefer to opt for these days. Parents can make the learning process fun and interesting by letting their children benefit from the above mentioned gadgets.